These never-worn slides have a rubberized and twine rope sole and twine rope sides and are by Side Out. 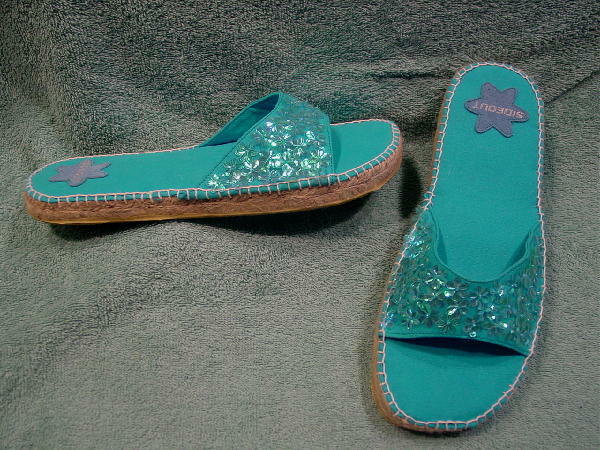 The footbeds are padded and are in a bright turquoise. There is a Side Out patch on the heel bed. The fabric matching strap has iridescent turquoise plastic flowers with little turquoise beads in their centers.